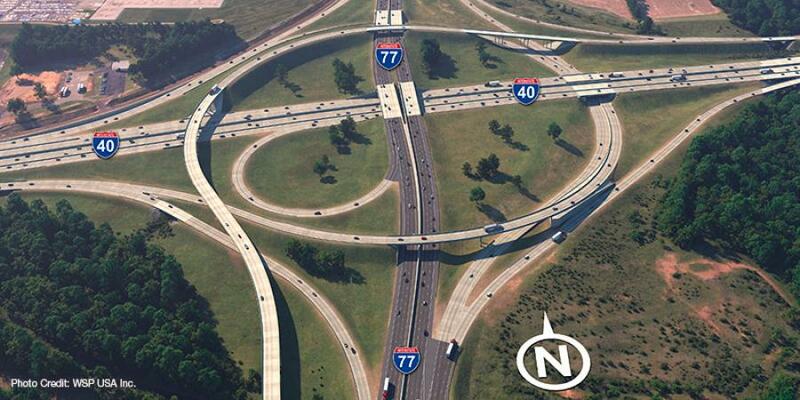 The Lane Construction Corporation, the United States subsidiary of Salini Impregilo Group, has won a $260 million highway contract in North Carolina to make final improvements to the I-77/I-40 Interchange in Iredell County. Lane was selected as the best value proposer for the design-build contract to widen Interstates 40 and 77 from four lanes to eight for approximately 7.4 mi., and to improve the system connection by designing and constructing a partial turbine interchange. Construction is slated to begin in the spring of 2019 and be completed by the end of 2022. Lane recently won another design-build highway project valued at $346 million in North Carolina for improvements to I-440/U.S. 1 in Wake County. The company also has work underway on Florida's $253 million Wekiva Parkway (Section 8) in Seminole County, and the $673 million I-10 Corridor Contract 1 Express Lanes project in California. Lane works in other sectors including tunneling, mass transit and railway, and water/wastewater and has current project work on the Little River Water Reclamation Facility in Georgia.